Our team has the expertise and processes in place to help you be successful. Learn more about the benefits of choosing WrightPlan! Our solution drives your success. We're much more than a smart business management software solution. We are committed to working side-by-side with you to achieve your business goals. With industry-leading expertise and the best tools in the trade, we'll help you improve your front and bottom lines. 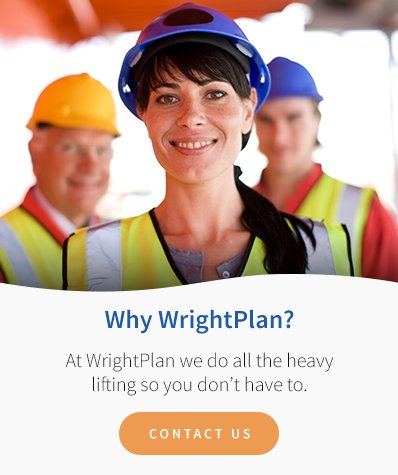 Here are a few more benefits that set WrightPlan apart from the other guy. Through 25 years of experience, we know how you operate. Get the custom features you need for your industry right from the start. Our Turn-Key solution makes implementation smooth and easy. We have an optional and seamless integration with the popular accounting product, Quickbooks. Customized forms that have the branding and formats your customers are used to seeing. This industry is all about mobility. Start accessing information from the field in real-time on any device!